Constructed of birch plywood, this Guidecraft High Rise Step-Up is designed for the rigors of pre-school and daycare use. It can help children to access sinks, toys and other items. 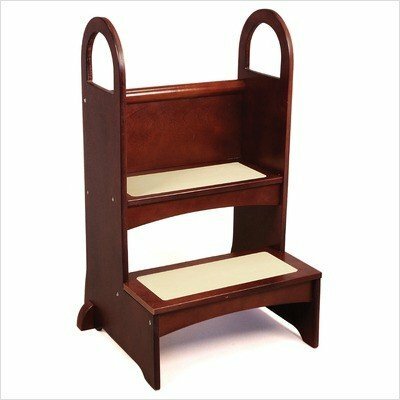 The Guidecraft step stool comes in Espresso and features a unique set of hand holds perfect for young children. Children will feel safe and secure on it. Each high rise step stool features side panels and textured, non-slip stairs.